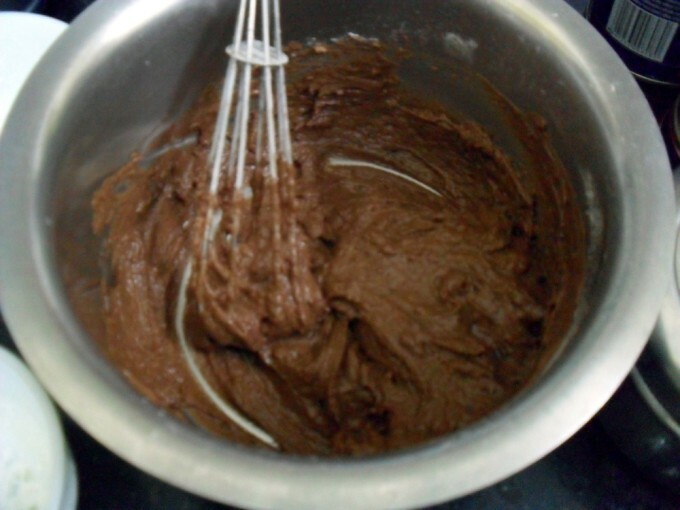 When I realized that there are just four more days for the Chocolate Mela to end, I couldn’t let it pass by without me posting more chocolate recipes. 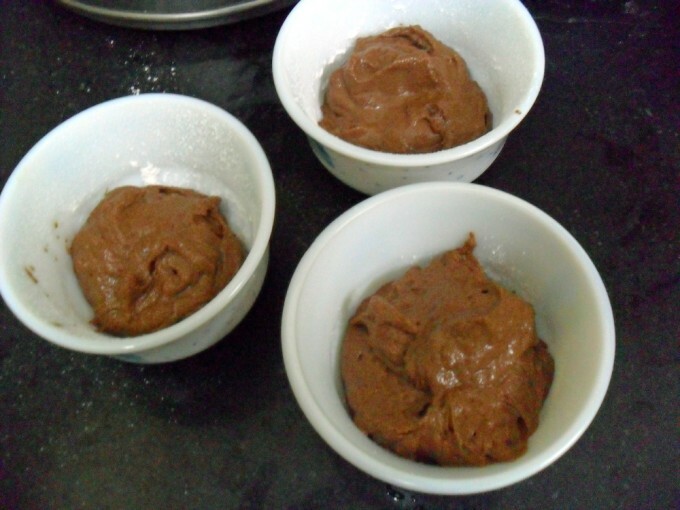 I actually selected many chocolate recipes that I thought I should make. Few were even with eggs, which I thought will post here. But as always days simply fly! Added to this, my boys started asking for something with chocolate. When they get into that mood, there is no stopping unless you give them enough dose to sustain for another couple of weeks. 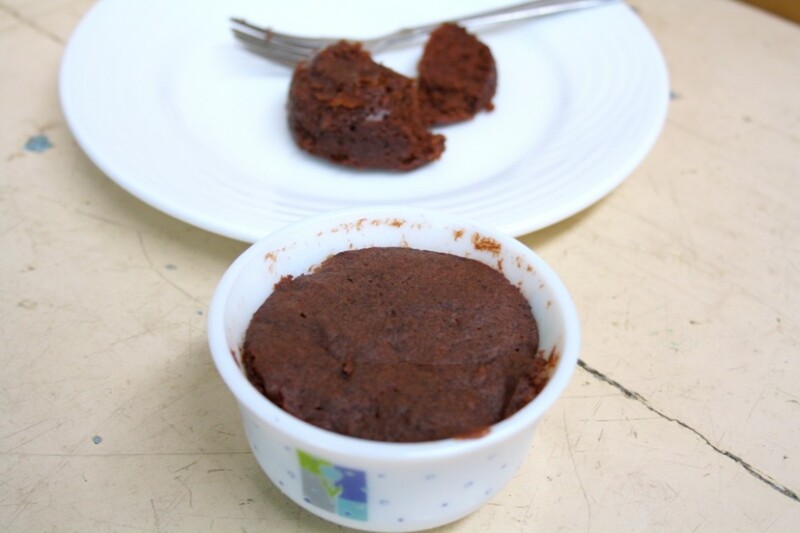 The recipes I selected were simple ones, some were shared by Chitra Vish of Indus ladies. I remember bookmarking them many months ago. I adapted some of them as my boys won’t eat any nuts or certain type of cakes. However I love the fact that you can bake eggless versions so quickly. I am planning on posting until 20th of this month when the Chocolate Mela ends. So gear up to get knocked down and drooling over the chocolate dishes! I was supposed to bake this last night but I was rather busy with the BM starting today. So I ended up baking it this morning. It was pretty hectic morning and hubby dear was wondering why I was so busy since morning. 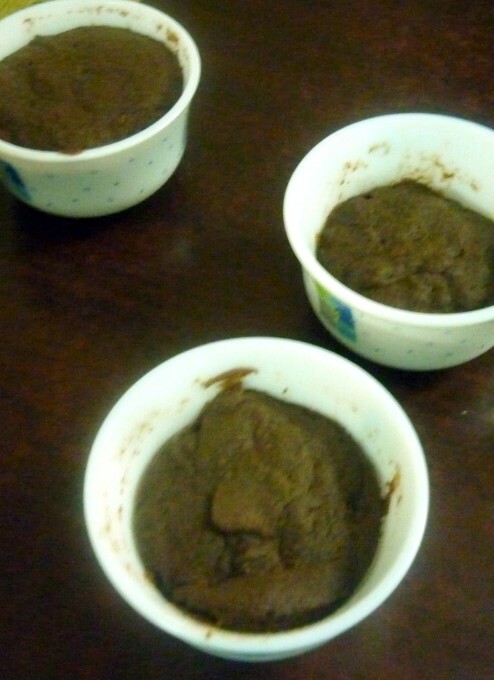 I told that I am in a mission to bake chocolate dishes. 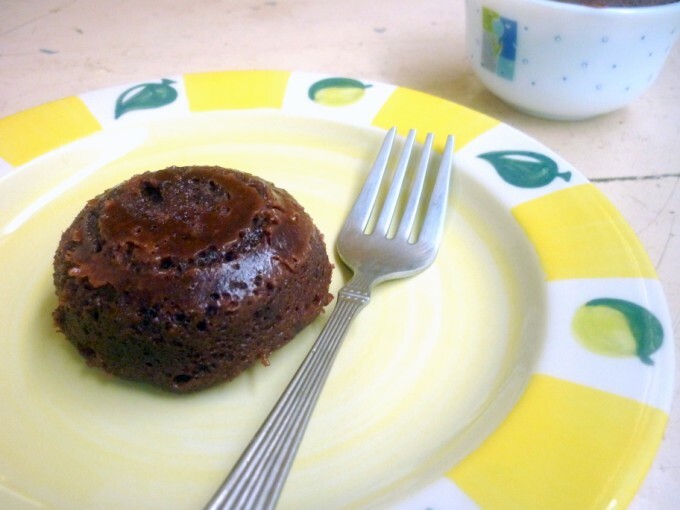 First on the series is a delicious microwave chocolate cake and trust me with so many versions or proportion, even then one can’t be happy with just one. This is yet another version and it tasted great. The fact that it took only 4 mins, is the plus point! Microwave the butter for a minute. 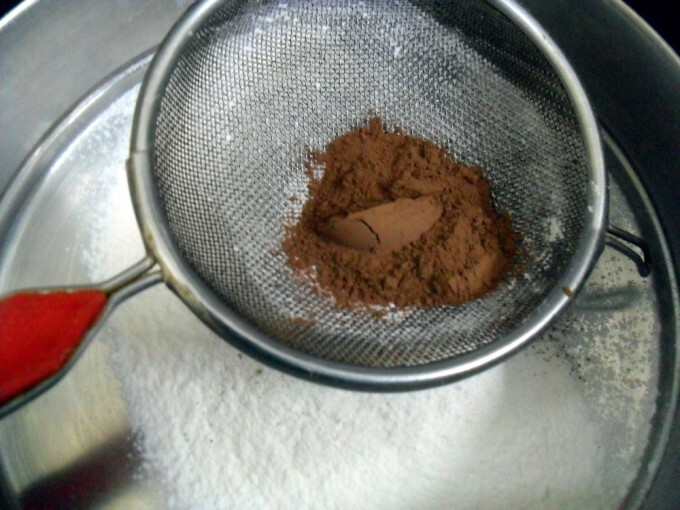 In one bowl, sieve the flour along with cooking soda.Then add cocoa powder. Micro water for a min. 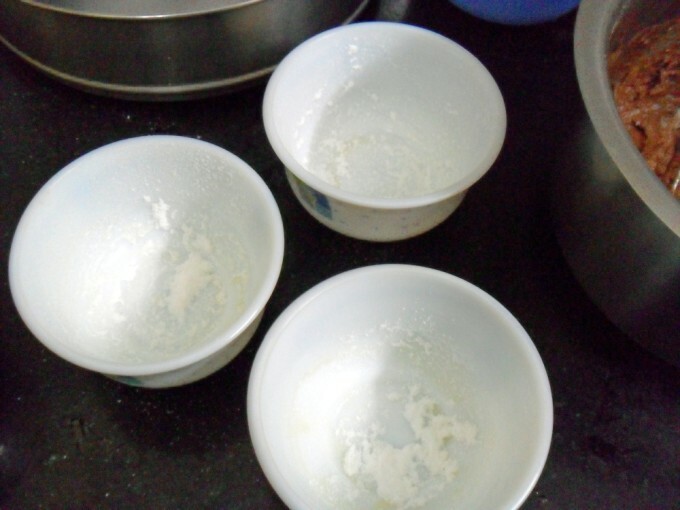 Take the melted butter in a bowl, add sugar. 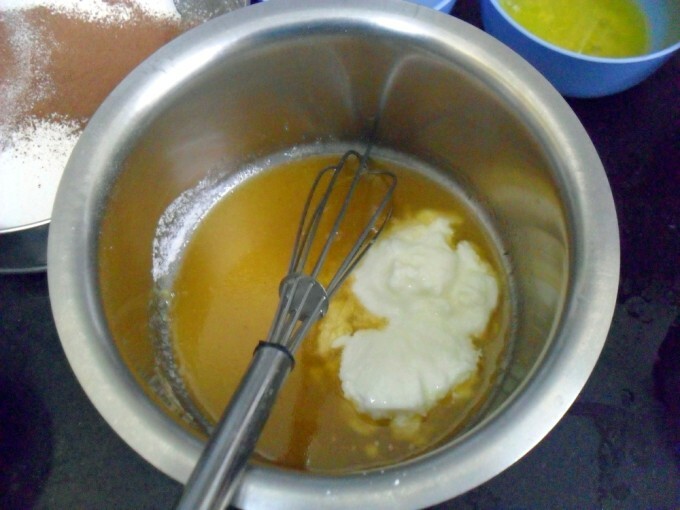 Then add curds to the same bowl and whisk well. 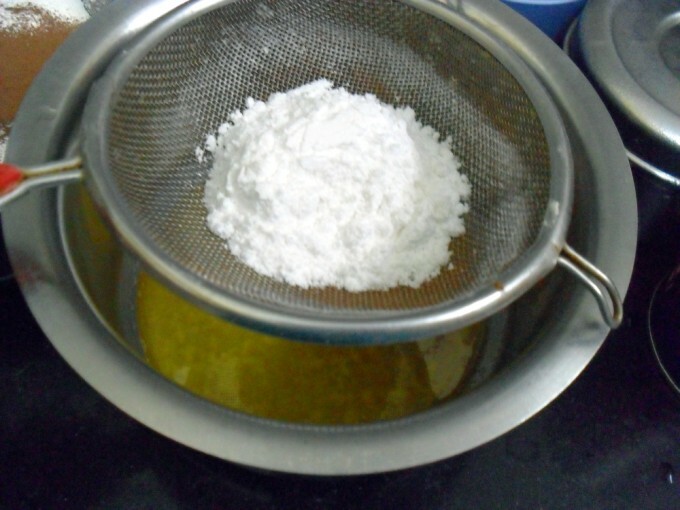 Next add flour, and mix to a smooth batter. 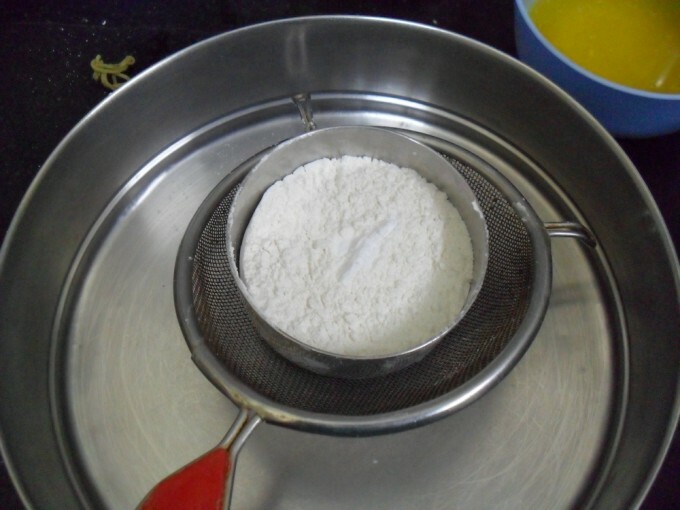 Depending on the batter consistency add the hot water. It should be little flowing consistency. 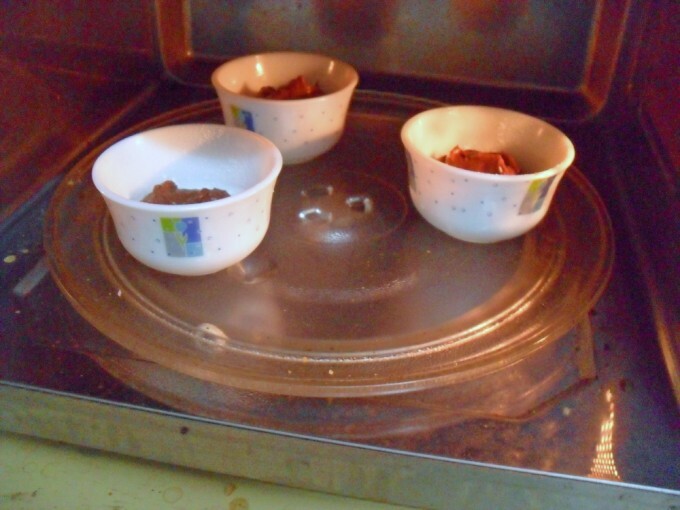 Use only Microwave safe vessels. The original recipe called for only 1/3 cup of sugar, I increased to 3/4 as I was serving as such. 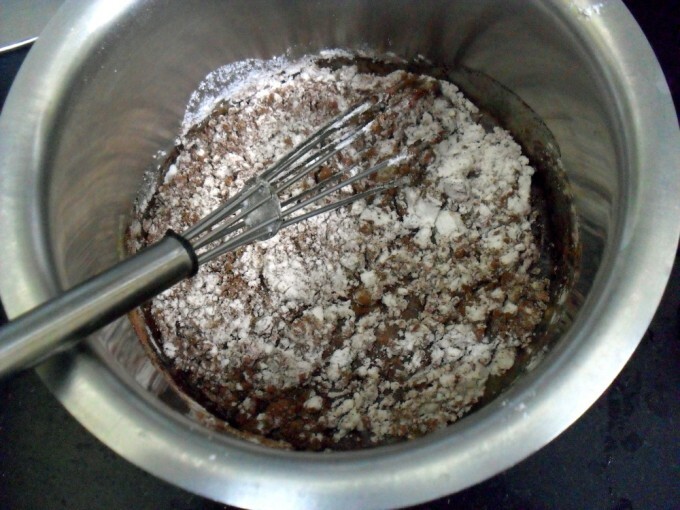 If you reduce the sugar the cake will end up being not so sweet. In which case you can drizzle some chocolate syrup over it or do a glaze. 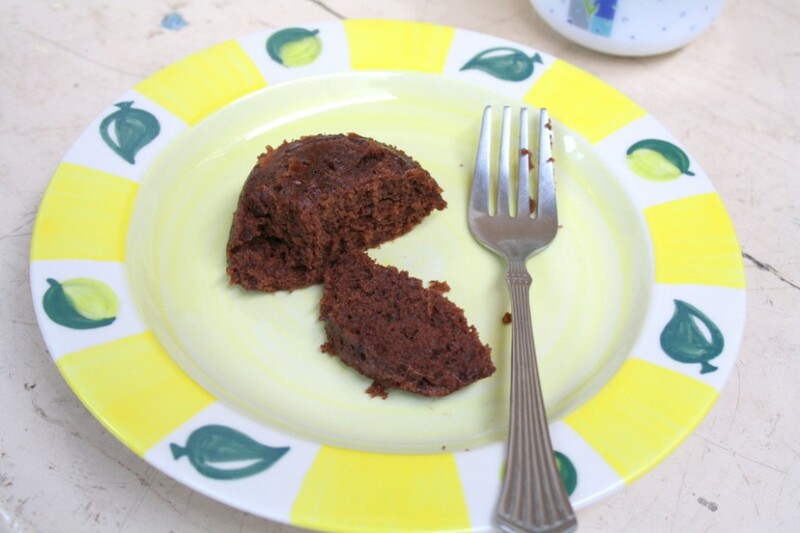 However with such instant cakes it makes no point in spending time on making elaborate glaze or frosting. Tomorrow’s chocolate treat is a stunner really! So come back for the next treat. Thanks for this. Will surely give it a try. 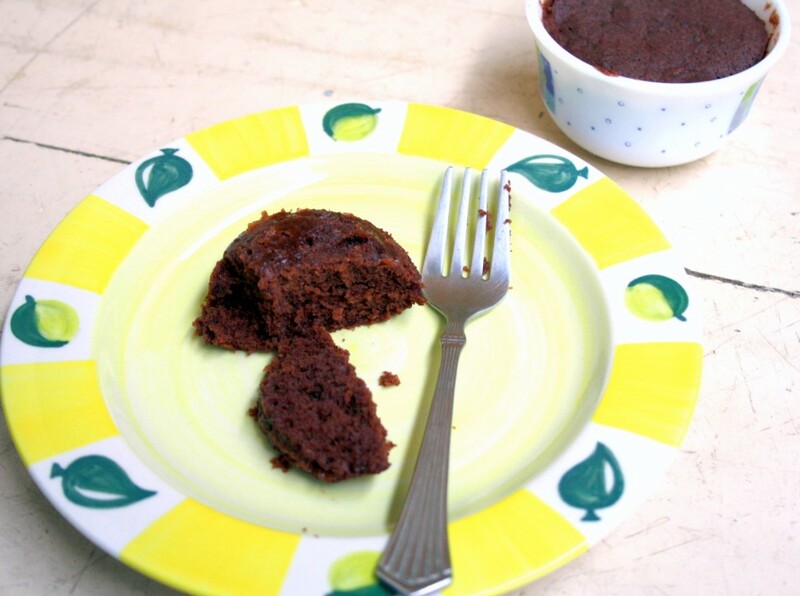 3 minute chocolate cake is a treat indeed:)).I missed sending my entries for this event coz my oven is yet to be operated upon.Will look forward to the round up! Really mouth watering…:) surely gonna try it !!! Hi valli, looks wonderful and wonderfully simple! 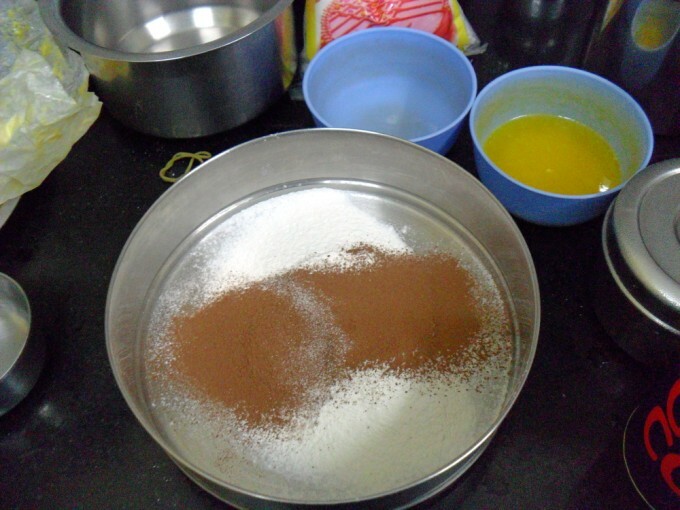 Just to check, thecocoa is added along with flour and soda right?